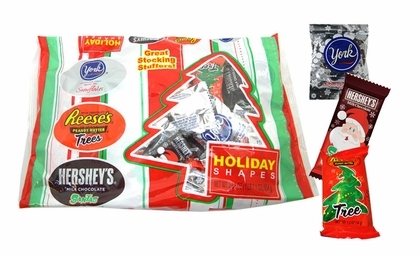 You’ll find something for everyone this holiday season with this special bag of Hershey's assorted Christmas candy. 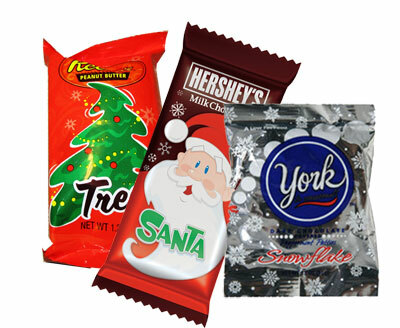 This bag of Hershey’s Christmas chocolate includes the perfect additions to a holiday candy jar. The mini candy bars are the classics you already know and love, but in festive wrappers and shapes to make them the ideal stocking stuffer candy.